1. The scale of the concrete mixing plant includes several pieces of stirring station, floor area of the mixing plant, the basic equipments of the whole concrete mixing plant etc. In this regard, the investment cost of the commercial concrete mixing plant is higher than the general engineering concrete mixing plant. 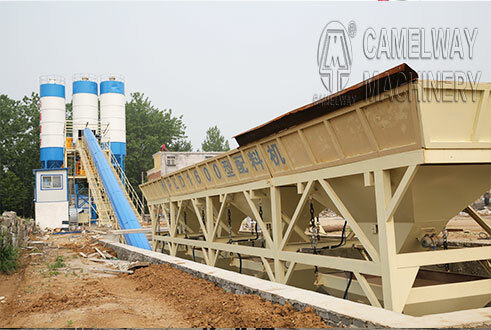 In addition, the equipment own price of the commercial concrete mixing plant is higher than the engineering concrete mixing plant, and the cost of the corollary equipment and the floor area of the commercial concrete mixing plant. 2. There are some differences between the production capacity of the pre planning concrete mixing plant and the expected production capacity of the mixing plant, and there is also a difference in the need of investment amount. Such as the pre planning production capacity is relatively large, which requires the equipments amount of the concrete mixing plant and the raw material demand reach a certain requirement. However, these will increase the investment costs of the whole project. 3. The area difference is one of the different investment factors of the different concrete mixing plants. The main influences of the regional differences are the floor area of the whole mixing plant and the expenses of staff salary.